The Asia Pacific Orthopaedic Association (APOA) is a regional organisation of orthopaedic surgeons of the Asia Pacific region. Today, APOA has 24 member countries with more than 59,000 members. The member chapters and federations are Australia, Bangladesh, Brunei, Cambodia, China, Hong Kong, India, Indonesia, Japan, Korea, Malaysia, Myanmar, Nepal, New Zealand, Oman, Pakistan, Philippines, Saudi Arabia, Singapore, Sri Lanka, Taiwan, Thailand, Turkey and Vietnam. But the membership extends beyond these countries to every corner of the globe. The core emphasis of the APOA has always been education and training of the youngsters. The APOA Board of Directors are committed to grooming the future leaders of the orthopaedic community in the Asia Pacific Region. They strongly believe that young surgeons have something unique to add to our association; our profession. This is primarily through their combination of energy, idealism and never say die attitude. And it is with this intent, that the APOA decided to form the APOA – Young Surgeon’s forum. The aims are to develop a complimentary set of skills, foster team work and communication, encourage academic and sharing of ideas and most importantly knit a more robust social fabric. The forum is open to all young surgeons who are less than 40 years of age and are members of their National Orthopaedic Associations. 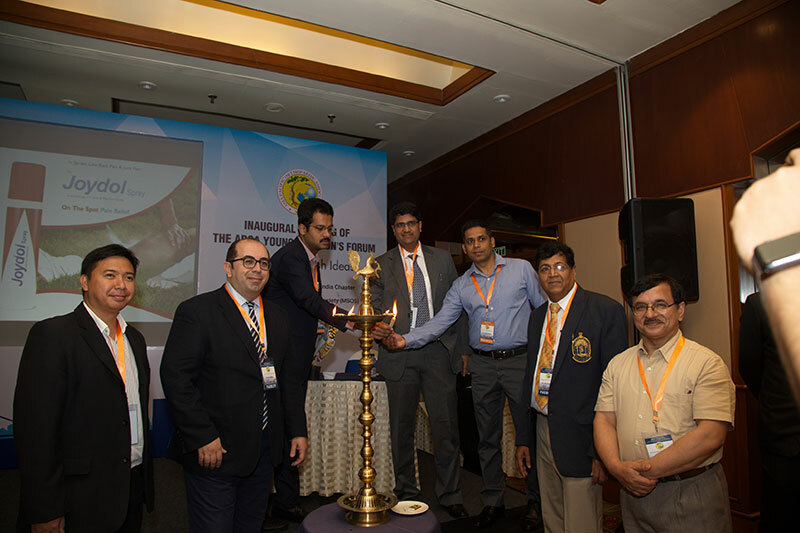 The inaugural Meeting of the APOA Young Surgeon’s Forum conference was successfully held on 5th August 2018 at The Orchid Hotel, Mumbai. This event gave all the young orthopaedic surgeons a chance to present at this wonderful platform. 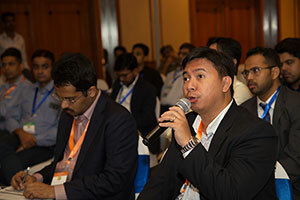 Inspite of this being an inaugural event, there were 104 registrations for this program. Encouragingly 57 became new members of YSF. The audience were mainly the youngsters along with a few seniors who actively participated. The scientific program for this one day event comprised of 32 young presenters show casing their interesting work, research and cases. These young surgeons had come all across India. 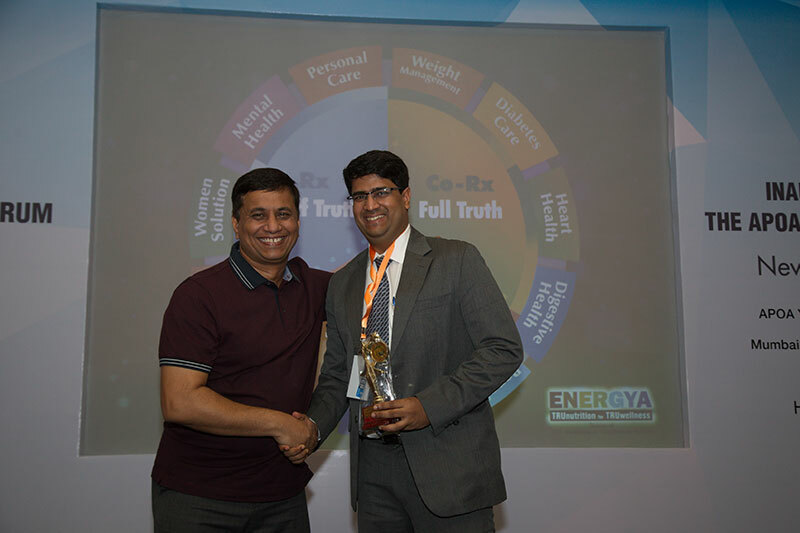 The scientific sessions were namely Innovative techniques , My worst complications, Interesting case session and Best paper session. Eminent national faculty from India: Prof. Ramesh kumar Sen, Dr. Ram Prabhoo, Dr. Ram Chaddha, Dr. Rujuta Mehta and Dr. Jamal Ashraf were on hand to encourage and guide the YSF members. Two overseas YSF faculty namely Dr. Onur Bilge from Turkey and Dr. Nesti James from Philippines were also part of the program. 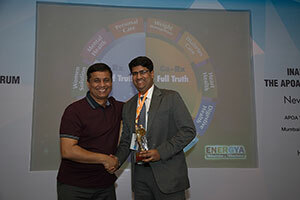 The faculty spoke on various topics from “Why I love looking at my clinical data”, “Excellence in my passion for acetabular fractures”, “How to make a great power point presentation”, “15 key concepts for young orthopods”, “Soft skills during hard times”, “Predictors of AVN in DDH patients”, to “Current concepts in Chondro resurfacing”. There were excellent interesting presentations by the youngsters and wonderful interactive discussions after each presentation. The Best paper session was keenly contested amongst 13 participants. 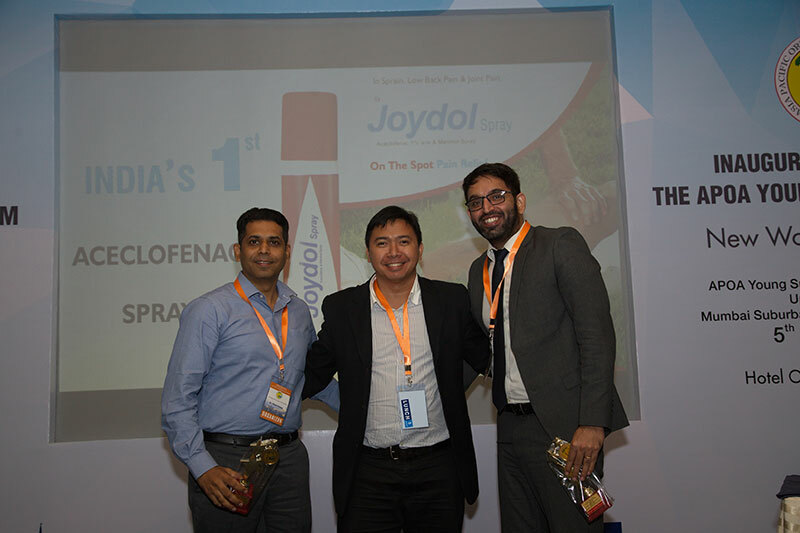 The winners were Dr. Chintan Doshi , Dr. Aditya Menon and Dr. Nishit Bhatnagar. 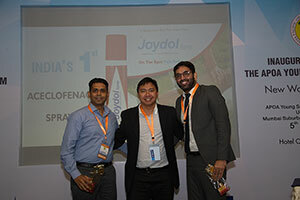 They were all given prizes and the 1st two winners will be given the chance to present in the APOA session at IOACON, Coimbatore ( National Conference). This entire conference was broadcasted live via facebook which had close to 3000 views. 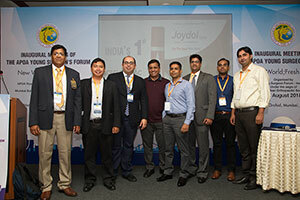 The scientific and organizing team put in all the hard work and result was this successful meet. 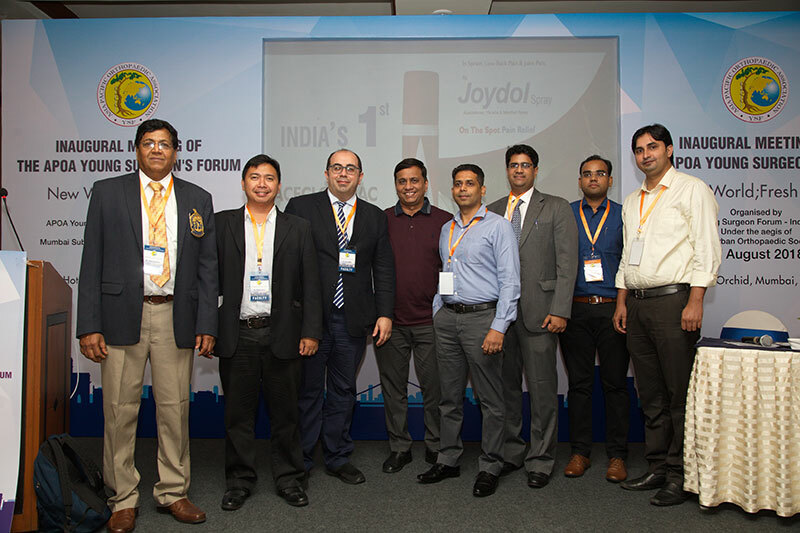 The team comprised of Dr. Ashok Gavaskar (APOA YSF Chairman), Dr. Vineet Kumar (Chairman YSF India chapter), Dr. Tanay Prabhoo (Organizing Secretary and Executive member ), Dr. Raja Bhaskar (Secretary India chapter and Scientific secretary), Dr. Yugal Karkhur, Dr. Vinit Yadav and Dr. Mohammad Faizan (Executive members). This will become an annual event and in years to come will become bigger and better. 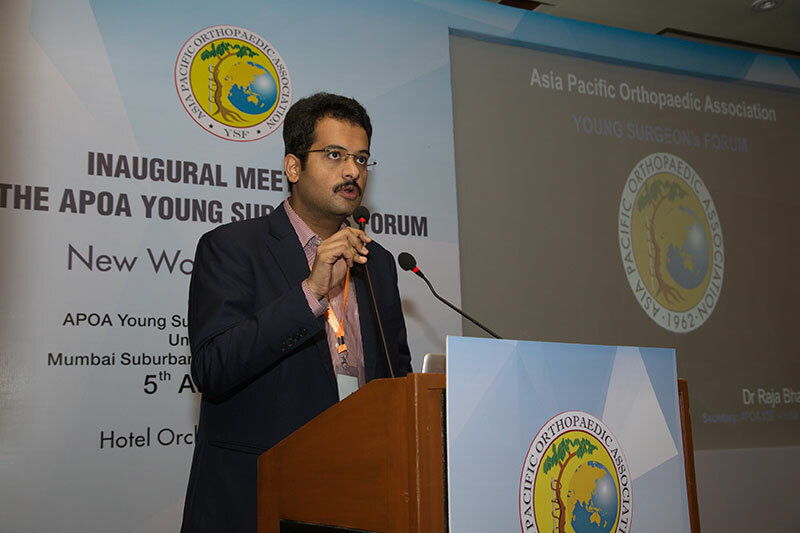 The next Young Surgeons Forum meet is going to be held in Lucknow in August 2019. Looking forward to another great meeting in the near future.